Got the winter blues? Ready to play an active role in your life? Bring in more health, joy and clarity in your direction? 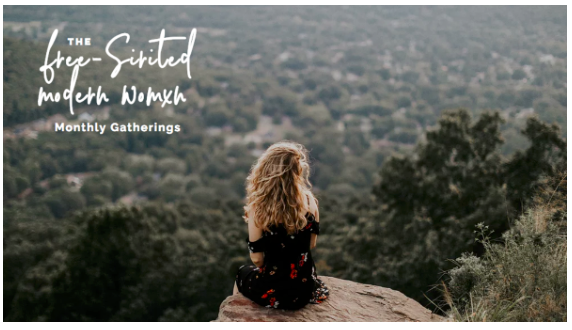 Then, join us as we gather with a room full of women who are committed to rising. Be held + guided by Zoey (local Cover) to expand your awareness, cleanse your subtle energy body and nail the truth and nothing but, so you can move forward with clarity and inspired action. Learn to engage in your future and create lasting change beyond your current habits, triggers and trends. After a delicious bowl of Bluhouse's signature soups and a cup of tea we will have a good-ol fashion circle where you can expect to be honoured and supported in your visions and mission through the use of ceremony, active and guided meditations, mindful movement, breathing exercises and an eclectic charge of ancient traditions that will elevate your experience as a free-spirited modern woman. *all gatherings are non-denominational and in support of your own belief systems.